First Movie Experience and Monsters University Win! Having a toddler is like having an energizer bunny that never slows down. The saying “I wish I had some of her energy” is a common theme around here. She keeps going and going. So, when the opportunity arose for us to go to her first “movie theater experience” I was a little scared to say the least. How do you get an active three-year-old to sit still for an hour and forty-four minutes? Well, it’s pretty simple apparently. Take her to see Monsters University. 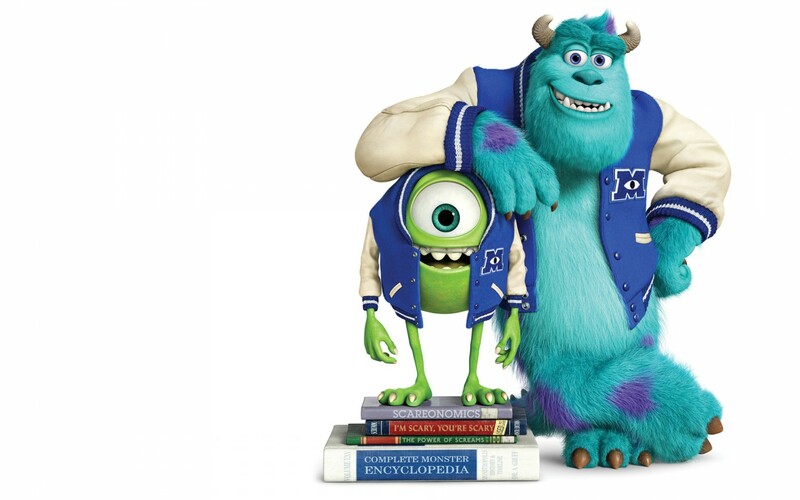 In Monsters University we get to see Mike and Sulley when they first met and how an unlikely match turned them into lifelong friends. Destined to be what he believed was the best scarer ever Mike went off to MU to study at the scare school. With it being such an important job, not every monster had the chance to be a scarer and early on in the movie Mike was kicked out of the program. Determined he gathers a team of unlikely monsters and joins in the Monster Games to prove he is a viable scarer. Pixar is one of my favorite children’s animation creators and Monsters University is a cute film. Nevertheless, ignore my review all together and take the word from a three year old who sat down in her first movie theater experience and you will get a five-star review. I asked her today if she liked the movie we saw yesterday and she said. “Yeah, I wanna go see another Monsters University.” So apparently, she would see the movie again if given the chance!